This post is a bit special and is about one of the people in Self Affirmation For The Dead which is available to buy on Amazon >here<. When Robert Eisner had his Barstow breakdown he was accompanied by a certain Lola Devine, a.k.a. Janine Cork. A few weeks later she was arrested in Hollywood and that sparked the beginning of the end for her. During the research for the book a number of remarkable things were uncovered. The first of which is below. Lola wasn’t a bad person – she just never really had a chance to shine. She was a diamond in the rough. In the right company, given an opportunity she could have been anything she wanted but it wasn’t to be. Her mind was a s sharp as her tongue but she only really knew how to use one of those attributes to make money; and it wasn’t her mind. 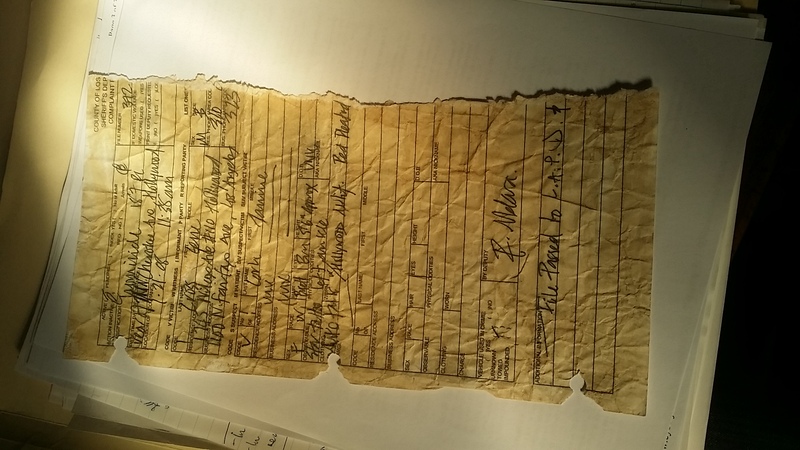 Lola’s arrest sheet found its way into Robert’s possession and the rest, as they say, is history. When Robert was back in Los Angeles a packages was delivered from an officer in the California Highway Patrol called Marvin. The contents of that package could be very dangerous to both men. Robert was given the option: face the music or tie up the last loose end. Don’t worry – it’s all in the book. 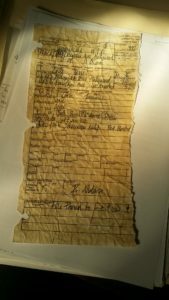 In an upcoming post I will be releasing an audio recording of Lola’s arrest interview from the same package that the arrest sheet came in. The entire interview is included in the book about what happened to Lola and Robert: Self Affirmation For The Dead but you will only be able to get the recording here.